In 1847, Genevieve Dupuis, a Sister of St Paul of Chartres, at the request of the Bishop of Birmingham, set sail from France for England and set up a little school in Banbury, near Oxford. Here begins the story and the foundation of the Sisters of Charity of St Paul the Apostle. 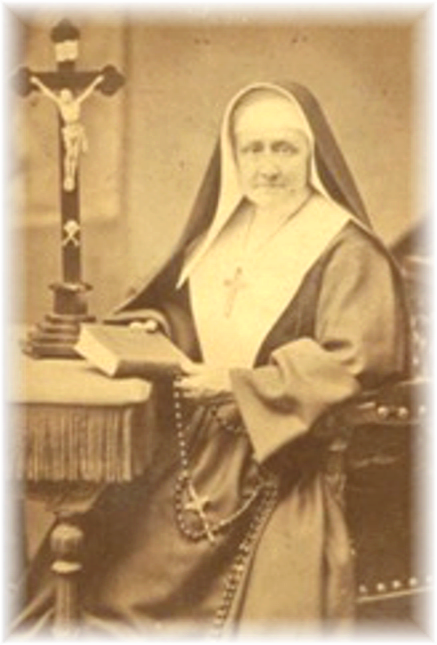 Accompanying Geneviève Dupuis was Sister Marie Joseph Sapiens. They were accommodated in the presbytery in Banbury where they formed a small community. By 1890 there were 384 Sisters and 52 convents. Bishop Ullathorne of Birmingham then asked for the Mother House to be in his Cathedral city, so when the independence of the Congregation was formally approved by Rome in 1864, the Mother House was opened in Selly Park. The Sisters had come to England to teach so they took over a free school for the poor and began night classes for those children who had to work. From these beginnings the Sisters became involved in both primary and secondary education. They established a number of children's homes throughout the country and in Ireland. In later years they also moved into adult education, including the establishment of a teacher-training college. They continue working in education to this day, in addition to working in the poorest parishes and communities supporting parish priests and working with the socially excluded including refugees, addicts and prostitutes. In 1954 the Sisters were invited to open a convent in South Africa to set up missions, educate children and bring health care to the poor. They now also run a hospice in Rustenburg. Following the overthrow in 1990 of Ceacescu in Romania, a new era began where the Sisters not only opened nurseries and worked with street children, but also, in 1995, welcomed the first Romanian Sisters into the Novitiate. The work in both these countries is ongoing. Sr Kathleen Neenan, the Superior General, says, ‘Our life as Sisters is an on-going search for an intimate relationship with God that leads us to evaluate everything in the light of the Gospel and to find God in a life dedicated to the service of humanity’.